The HELIX Reversible Jacket is a reversible fleece jacket that matches today’s „drive hunting zeitgeist“. 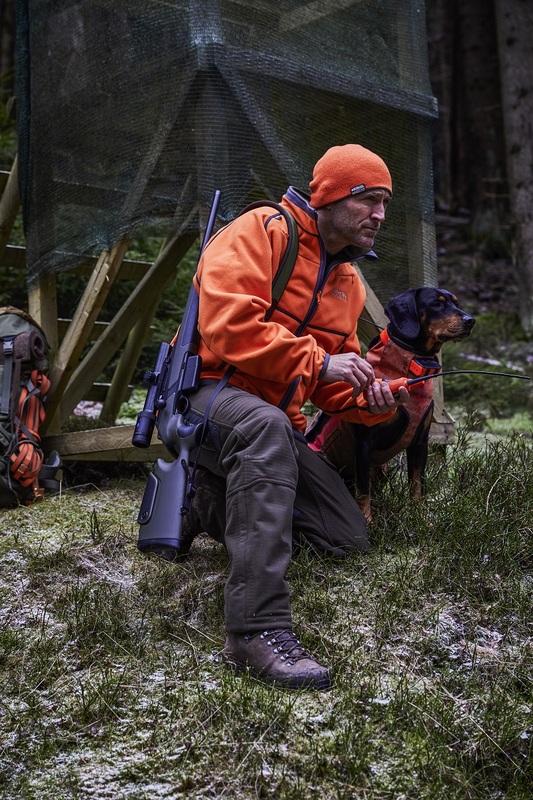 However, the exceptionally strong fleece material of the jacket and the innovative cut make the HELIX jacket an extraordinary piece of clothing that appeals to the active hunter. 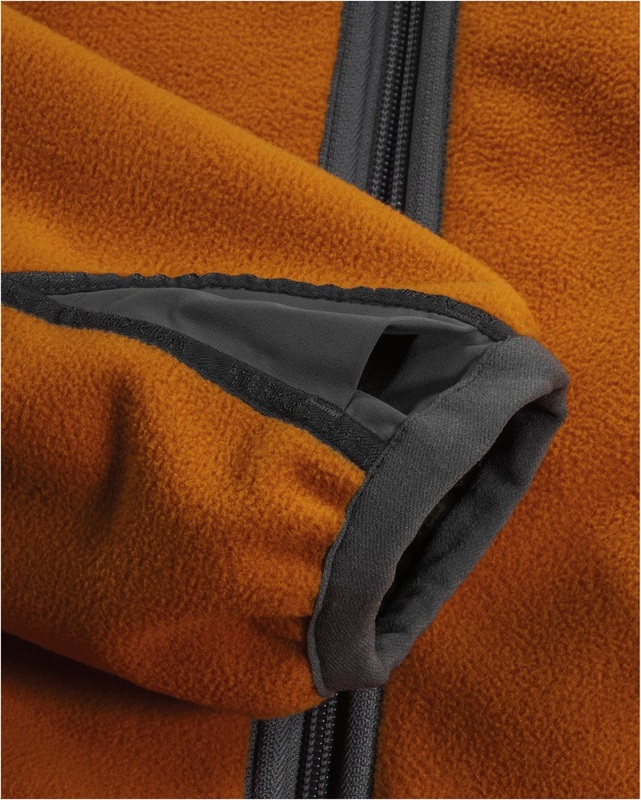 The incorporated fleece material is about 30% stronger and thus much more hard-wearing than conventional fleece, plus its non-pilling properties are excellent. 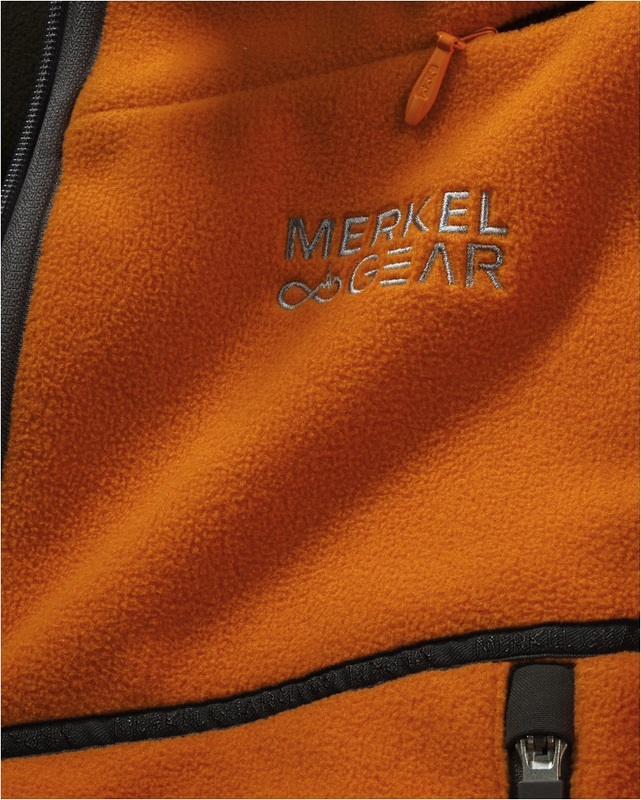 Together with the wind- and water-proof WND-X membrane, this results in an extremely functional fabric construction for 365 days of hunting. 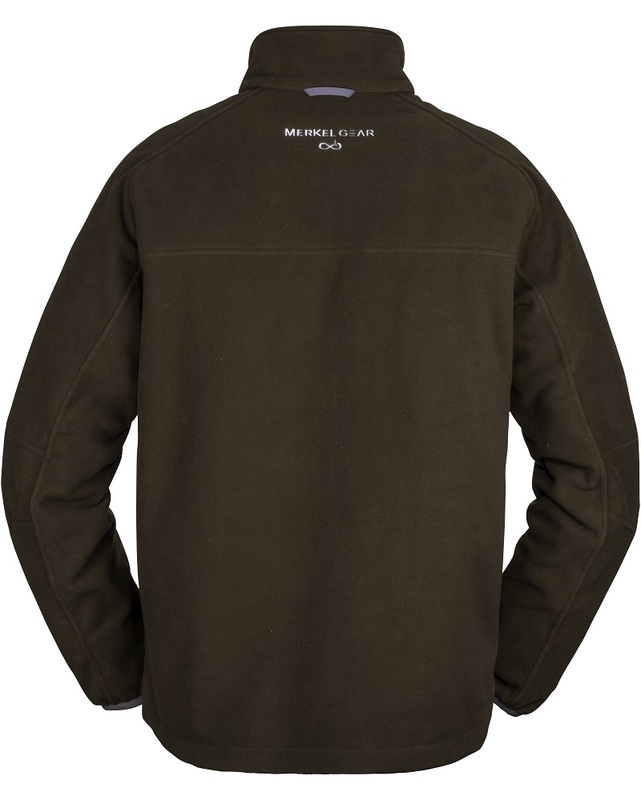 One side of the jacket is in classic olive, the other side in a bright, clearly visible orange. 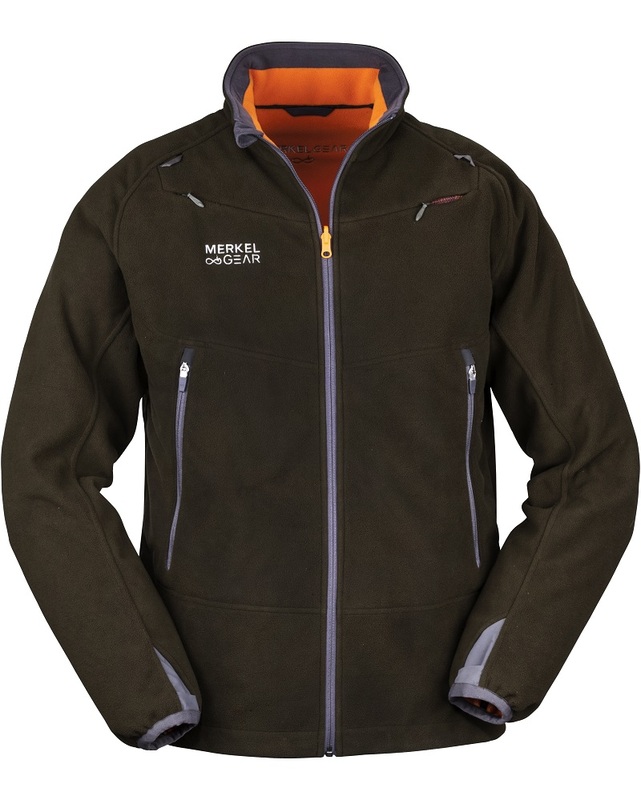 Important for our entire development team was that the jacket had to be suitable to wear with a rucksack, which is why the jacket has raglan sleeves with seams that don’t chafe when the hunter carries a rucksack over longer distances. The fit of the jacket is modern, yet just wide enough to wear e.g. 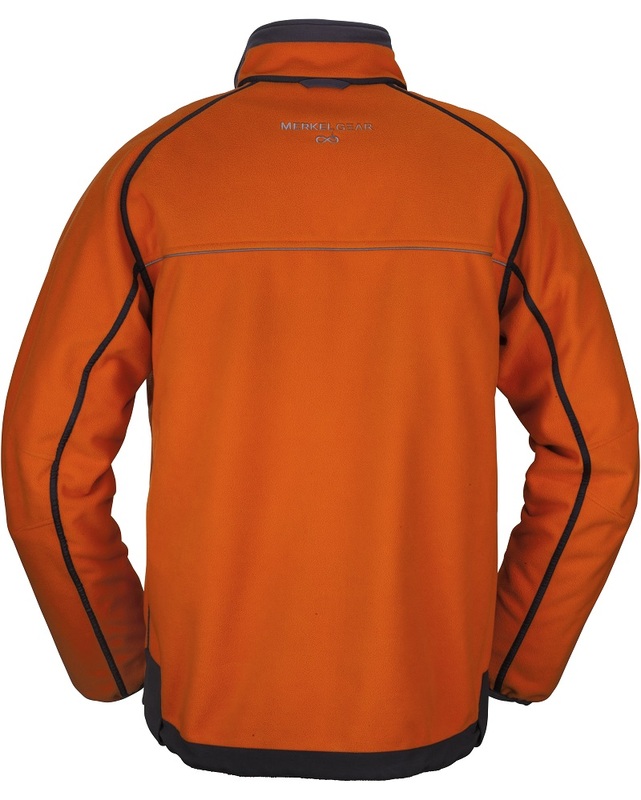 the BOREAS G-LOFT jacket underneath to make your outfit 100% winter-proof. The bottom sewn-in pockets with extra-long YKK zip fastenings in size #5 have been positioned slightly higher, so that you can still use the pockets even when you use the wide waist belt of a rucksack. What’s more, when it rains the water doesn’t run in the pockets when the hands are in the pockets but simply runs off the elbows. In addition, the position of these pockets that resemble so-called Napoleon pockets is very comfortable. The hand-warming pockets have a sturdy intermediate layer made of stretch fabric that prevents keys and pointed cartridges from sticking into the other pockets. In addition, the jacket has two breast pockets for a dog tracking device etc. on both sides. Both pockets can be closed with so-called „invisible YKK zip fastenings“ in the long-lasting size #5 and are hardly noticeable when closed. Small fabric loops in the shoulder region can be used to secure long antennas of the GPS devices. The jacket also has concealed thumb holes, an extra-strong elastic band at the hem and a reflector on the back hem.